L 2000 x 1164px 8 Mb. XL 3990 x 2323px 15 Mb. 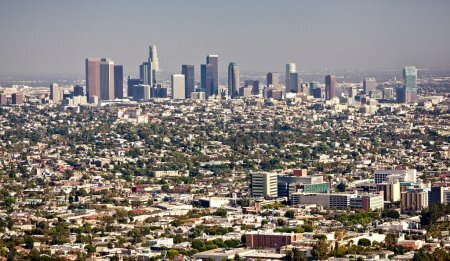 Downtown Los Angeles skyline with smaller buildings and homes in the forground and mountains in the background.